My Opry story began when I was just a toddler. My mother tells me that when it came to television I was never overly interested in watching the things that most toddlers watched, but there was one particular show that could always take hold of my attention. The show starred a somewhat eccentric lady with big blonde hair, sparkly clothes, and an infectious laugh. 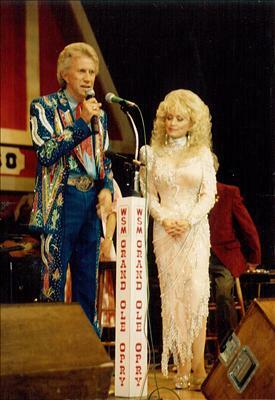 You guessed it, that lady was Dolly Parton. I loved her before I could even say her name and it was that love for Dolly that inspired my mother to take me to the Grand Ole Opry to see her. My aunt had been working in ticketing for the Opry and Ryman Auditorium since the age of 18 and was able to put us right down in the front row. I don’t remember much about the night, but I have heard the story many times. When it was time for Dolly to take the stage alongside Porter Wagoner and all his rhinestone glory, my mom lifted me up so I could get a better look. As Dolly was working the stage, she happened to look right down at me and give me a little wink. I think it was at that moment I caught the bug. My aunt Sherri was the first one to catch the Opry bug when she began working for the Grand Ole Opry back when the Opryland U.S.A. theme park was alive and well.. I spent most of my summers at that theme park before its closing in 1997 and can still walk through the park in my mind. Sometimes I can almost hear the music being played and smell the smoke from that old train that constantly ran throughout the park. 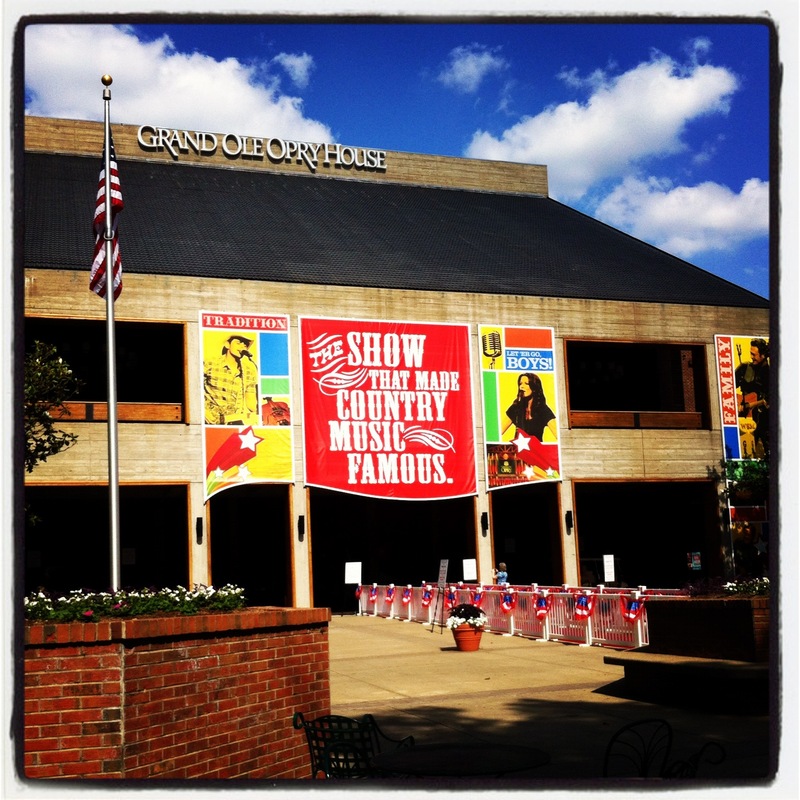 Country music and the Grand Ole Opry was the centerpiece of Opryland and I couldn’t get enough. I’ll never forget the day that I got the call offering me the job. While I may have seemed very calm and collected to the person on the other end of the line, I was pacing back and forth like a crazy person in my mother’s living room and even walked out into the yard to be sure the call wasn’t lost. Immediately after hanging up the phone I screamed before dialing my mom at work to break the news. I could barely contain myself, I was two weeks from graduating and had just been offered my very first “big person” job at the place that stole my heart long ago. My tenure at the Grand Ole Opry is now approaching ten years and I cannot even begin to explain the experiences or how much I adore the place and the people who make it run. That will have to be a whole different story.